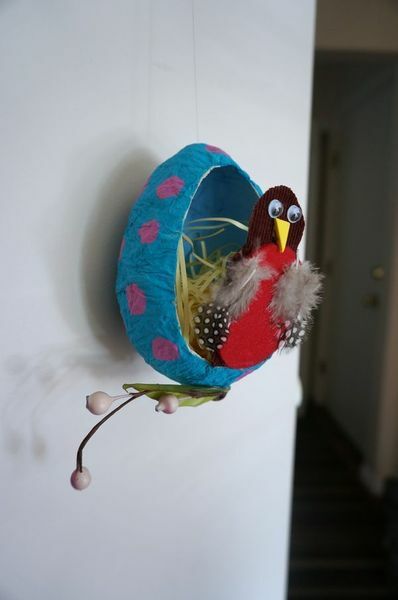 Decorate the hallways, entryways and kids’ bedrooms in your home with these fun and festive Papier Mache Robin Eggs. The eggs can be created out of paper mache and balloons and filled with cute, handmade birds. Stuff a bit of straw inside of them to make them look like nests.